The Glow Diaries: All Your Skin Needs To Look Oh-So Bright! Haven’t most of you slotted a few hours every weekend for some amazing home beauty treatments? What with all those multiple face packs and other home remedies your grandma told you will give you luminous and healthy skin. While at-home beauty regimes are awesome, there are some store-bought products too, that can give you supple and glowing skin. 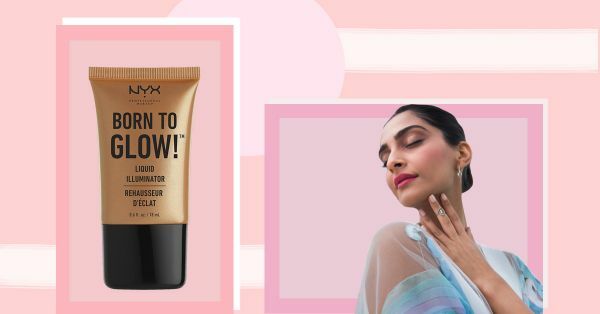 We bring you a conclusive guide to glowing skin - from skincare to makeup, these products are just what you need in your beauty kit to make your skin shine bright! Just before a big event or evening out, when you are in dire need of that glow, just use the VLCC insta glow gold bleach, with gold radiance properties. It evens out your skin tone and reduces the appearance of dark marks and blackheads. This cream moisturises and protects your skin with SPF 25. It also reduces the appearance of imperfections and patches to give you a radiant complexion. This gel cream moisturiser helps reveal your natural, healthy-looking glow. The fresh, lightweight formula fights signs of fatigue, and has an invigorating fragrance. It infuses your skin with juicy moisture and hydrates it to the fullest. Enriched with apricot and orange, this face pack gives a beautiful and radiant glow instantly. Its hydrating qualities leave your skin looking hydrated and firm. This mask is formulated with a double-peel action comprising chemical AHAs made from fruit acids. These acids sweep away dead skin cells to reveal a fresher, more even texture of the skin. Try it, ladies. The oil helps rejuvenate dead cells, ageing skin, and also helps revitalize and restore youthful radiance. Now who wouldn’t like that?! This oil created from a mixture of various essential oils, increases blood circulation and keeps the skin glowing and radiant while deeply moisturizing it. It does not contain parabens or synthetic fragrances, and is a non-greasy formula ideal for daily use. This is a daily multi-benefit lightweight face oil consisting of a powerful blend of 5 pure active seed oils. It has a high concentration of essential vitamins, nutrients, and antioxidants to help your skin look deeply nourished and healthy. This concentrate hydrates the skin making it look lustrous. This serum is not just great for winters when your skin is dry and dull, but also for summers when want your skin to look hydrated without looking oily. This is a lightweight multifunctional face moisturiser can be used as a primer as well. You could even use it on your cheekbones or cupids bow to give your skin an illuminated look. This powder highlighter is specifically crafted to add that much needed pop of shimmer on your face. It is suitable to highlight key features or to be used all over, ideal for every skin tone and undertone. A highlighting, brightening concealer adds a wash of colour when you don't want to look too caked up. The lightweight formula will give you an even base and a luminous complexion. This tinted gel moisturiser with a lightweight finish gives you a peachy, natural glow and brings out the best in your complexion. It can be worn alone or with your favourite foundation. This is a moisturiser made with shimmer particles and can be used over your body and face to catch the light just right. Pro tip: If you have run out of your favourite illuminating primer or highlighter, just dab this body gloss on before you apply your foundation and the glow will shine through. This face primer evens out and enhances the skin, making it visibly smoother. Enriched in prisms with coloured light diffusers, this light gel formula helps the skin glow with its natural radiance. Time to add some of these to your beauty kits, ladies!